Cook Custom Homes is pleased to introduce a new luxury home, The Oxford. This master craftsman’s executive home was explicitly designed to meet the elegant architectural controls of The Point in Patterson Heights. It is located at Lot 19 on Patterson Blvd, Calgary SW.
Styled in a “Modern Prairie” motif inspired by Frank Lloyd Wright, the attractive exterior of this 2-sided walk-out presents itself with dramatic lines and an abundance of full height windows to take in a spectacular view of the city. As a family home, The Oxford accommodates 3 en suite bedrooms on the upper level plus an option for a loft area or 4th bedroom (also with its own bath). There’s also a generous upstairs laundry room. a 110 sq. ft. Walk-in Closet replete with hand crafted cupboards, shelves, shoe racks, and hangers. On the main floor, The Oxford’s open concept is ripe for family gatherings and entertaining. Open to the expansive great room is a custom island kitchen with a flush eating bar for four. Off to the side is a dining nook surrounded by view windows. There’s also a formal dining room with a custom built wine closet and a massive butler’s pantry/prep-kitchen. Meanwhile, a generous mudroom flanked by dual built-in closets and a wall of custom built lockers leads to The Oxford’s oversized, triple car garage, fully finished and heated. The walk-out level of the Oxford is open for development to the new owner’s tastes and desires. 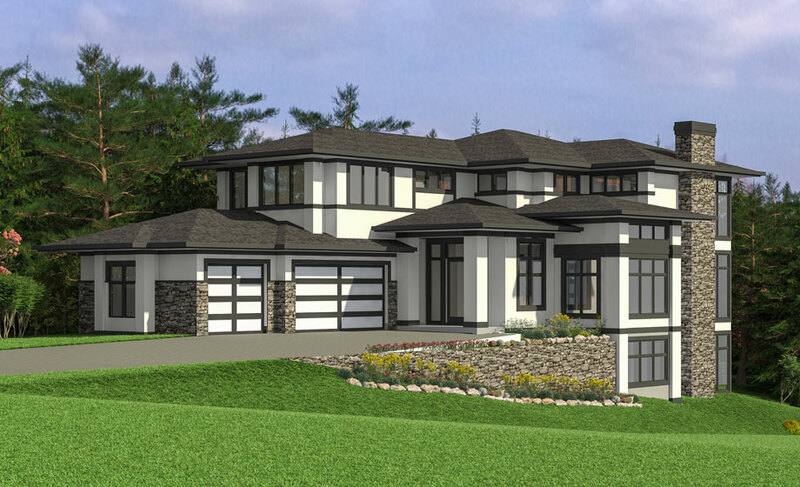 To learn more about this distinctive luxury home or similar custom home options in the neighbourhood, call Brian Cook, Master Craftsman and President of Cook Custom Homes at (403) 969-5563 today.